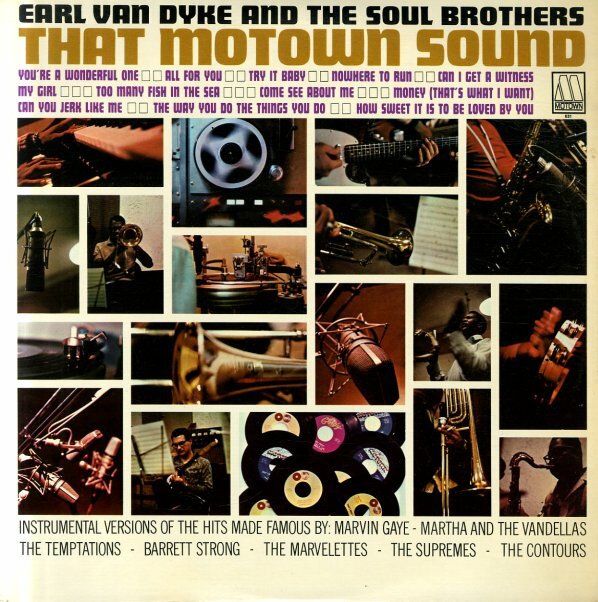 A heavy batch of Motown soul instrumentals – headed up by Funk Brother Earl Van Dyke! The set features backings that are often very similar to the vocal versions on Motown – but are topped with sweet organ solo work from Earl – who has this lean, mean style that's mighty nice – kind of a Jimmy McGriff groove that really fits the soul of the recordings! Most of the backings are exactly the same ones used for vocal hits, but the use of Hammond really transforms them nicely – making the whole record a sweet popcorn soul version of Motown – almost a bit grittier, with a nice sort of backroom jukebox flavor. Titles include "Try It Baby", "Can You Jerk Like Me", "Money", "Can I Get A Witness", "Come See About Me", and "All For You". © 1996-2019, Dusty Groove, Inc.